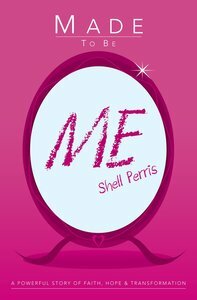 Made To Be Me is Shell's personal story about her journey through bullying, dealing with low self-esteem and overcoming an eating disorder to become a singer, songwriter, author and evangelist. ^'I have written this book to bring hope to the hopeless and to show that ordinary people can overcome tough times and live in freedom once again.'. ^^Shell's passion to get people excited about God and to let the world know that he is head-over-heels in love with every single one of us. Her bubbly personality and powerful life story challenge and inspire the hearts of many. About "Made to Be Me"